For the record I have no general objection to filming fanfic, but let's call it what it is. The Crofts took possession with true naval alertness, and were to be visited. Mary deplored the necessity for herself. “Nobody knew how much she should suffer. She should put it off as long as she could;” but was not easy till she had talked Charles into driving her over on an early day, and was in a very animated, comfortable state of imaginary agitation, when she came back. Anne had very sincerely rejoiced in there being no means of her going. She wished, however to see the Crofts, and was glad to be within when the visit was returned. They came: the master of the house was not at home, but the two sisters were together; and as it chanced that Mrs. Croft fell to the share of Anne, while the Admiral sat by Mary, and made himself very agreeable by his good-humoured notice of her little boys, she was well able to watch for a likeness, and if it failed her in the features, to catch it in the voice, or in the turn of sentiment and expression. Anne hoped she had outlived the age of blushing; but the age of emotion she certainly had not. “Perhaps you may not have heard that he is married?” added Mrs. Croft. She could now answer as she ought; and was happy to feel, when Mrs. Croft’s next words explained it to be Mr. Wentworth of whom she spoke, that she had said nothing which might not do for either brother. She immediately felt how reasonable it was, that Mrs. Croft should be thinking and speaking of Edward, and not of Frederick; and with shame at her own forgetfulness applied herself to the knowledge of their former neighbour’s present state with proper interest. He was cut short by the eager attacks of the little boys, clinging to him like an old friend, and declaring he should not go; and being too much engrossed by proposals of carrying them away in his coat pockets, &c., to have another moment for finishing or recollecting what he had begun, Anne was left to persuade herself, as well as she could, that the same brother must still be in question. She could not, however, reach such a degree of certainty, as not to be anxious to hear whether anything had been said on the subject at the other house, where the Crofts had previously been calling. Here endeth the lesson. Happy Michaelmas to all! *Can we put in a plug for the fabulous Jane Austen Made Me Do It, and our own contribution to that delightful volume, “Heard of You”? It’s our take on how the Crofts met, with the help of an unlikely Cupid. So I guess it’s kind of obvious that I’m burned out on Austen blogging, but that doesn’t mean I’m not paying attention to what’s going on in Janeworld. I suppose I’ve just been waiting for something to bring me out of my funk. So I guess I should thank Adelle Waldman for her article in Slate, as it aroused my ire sufficiently to get me blogging again; but really it just made me cranky, and made me get the Cluebat of Janeite Righteousness out of hibernation. Why do so many of Jane Austen’s smartest readers consider her weakest novel to be her best? Persuasion, the story of kind, helpful Anne Elliot—who made a mistake years ago and is still suffering for it when the book opens—is didactic and full of crude, overdrawn characterizations. Okay, this is the opening paragraph. I’ll give her some slack. It is also the least funny of Austen’s books. 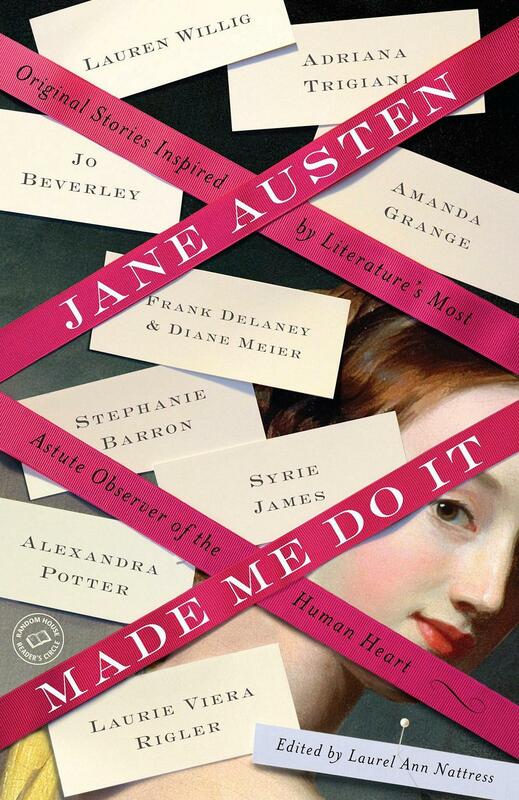 AustenBlog is delighted to host Laurel Ann Nattress, proprietor of the fabulous Austenprose and editor of the anthology Jane Austen Made Me Do It, for a little tidbit about the anthology. The Editrix had her share in the conversation, er, anthology, as you will read below. LA and I have known each other for a really long time–we were reminiscing how long at the JASNA AGM last week! The Musgroves, like their houses, were in a state of alteration, perhaps of improvement. The father and mother were in the old English style, and the young people in the new. Mr. and Mrs. Musgrove were a very good sort of people; friendly and hospitable, not much educated, and not at all elegant. Their children had more modern minds and manners. 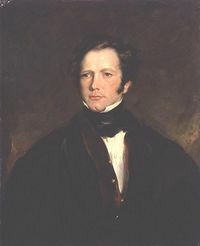 There was a numerous family; but the only two grown up, excepting Charles, were Henrietta and Louisa, young ladies of nineteen and twenty, who had brought from school at Exeter all the usual stock of accomplishments, and were now like thousands of other young ladies, living to be fashionable, happy, and merry. Their dress had every advantage, their faces were rather pretty, their spirits extremely good, their manner unembarrassed and pleasant; they were of consequence at home, and favourites abroad. Anne always contemplated them as some of the happiest creatures of her acquaintance; but still, saved as we all are, by some comfortable feeling of superiority from wishing for the possibility of exchange, she would not have given up her own more elegant and cultivated mind for all their enjoyments; and envied them nothing but that seemingly perfect good understanding and agreement together, that good-humoured mutual affection, of which she had known so little herself with either of her sisters. This came up in the past couple of weeks in relation to an acquaintance who has what we consider an outsized ability to get what she wants (and sometimes stuff we want that she doesn’t) from other people, much of it in our opinion based on youth, looks, and personality. Said acquaintance is also a remarkably shallow person, concerned more with appearances and fortune than with intellect or meaning. We were stewing over a particular incident privately and then remembered this passage. Certain material things–fortune, luck, tickets to certain sporting events we wish to attend–might be showered upon her; but we would still not exchange with her. Thank you, Jane, for the lesson in perspective. With all the excitement over the Complete Jane Austen, we would like to take this opportunity to issue our periodic reminder that Jane Austen wrote six novels, not just the one with that moody Darcy git (TEAM TILNEY REPRESENT! ), and if you haven’t tried them all yet, there’s no time like the present! And even after you finish the Big Six, there’s more Jane to read–let us know if you need a list. Laurie Viera Rigler, the author of Confessions of a Jane Austen Addict, is writing a series on each of Jane Austen’s novels for About.com’s Classic Literature blog in conjunction with the films. Last’s week’s Bookblogging included her Persuasion post, and this week she wrote about Northanger Abbey. Every era likes to marginalize certain forms of art. 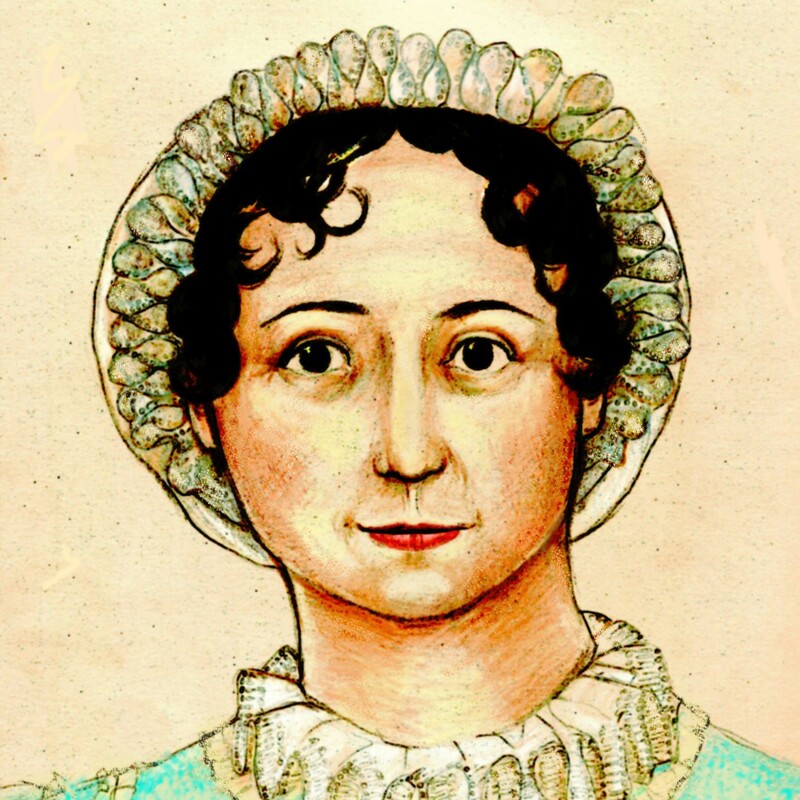 In Austen’s day, it was the novel (and not just the Gothic ones). Today, it might be graphic novels or romance or so-called “women’s fiction” or “chick lit” or science fiction or horror. Take your pick. Despite the snobbery, Jane Austen and her whole family were, in her own words, “great Novel-readers, & not ashamed of being so.” Nevertheless, Northanger Abbey is a hilarious send-up of just the kind of horror-and-romance-fest that Catherine Morland—and Jane Austen—liked to read. The difference between the heroine and her creator is that Catherine Morland kept expecting real life to play out like one of her favorite novels, while Jane Austen thought real life had its own set of fascinating stories to tell. WHAAAAAAAAT? Anne Elliot, of all people, a gold digger? Our Cluebat of Janeite Righteousness, let us show you it. Part 2 has more reflections upon the novel–it’s always so interesting to hear from someone making their first engaged read. Another character I have yet to mention but that plays an enormous part is Mrs. Smith. Anne knew Mrs. Smith from her school days and only knew that shortly after Anne left the school that this woman became Mrs. Smith and seemed to have married quite well. When Anne rediscovers her, Mrs. Smith is an invalid, dependent on the “kindness of strangers”, selling hand made crafts through a friend, and living most of her life in two small and shabby rooms. Mrs. Smith plays a key role in revealing Mr. Elliot’s (the cousin and heir) true character to Anne, but I will say I found her more of a remarkable character after reading about Austen’s own invalid brother. Perhaps there is no connection, but at the very least Mrs. Smith is a very interesting comparison to Lady de Bourgh’s daughter in Pride & Prejudice. We doubt Mrs. Smith had anything to do with George Austen, but it is interesting to contrast her treatment, as someone who is genuinely ill–indeed, crippled to the point of being unable to walk–and yet bears with her infirmities and her deplorable financial situation with cheer; and (this always gets us) as poor as she is, she seeks to sell her little knitted items to do good for even poorer people. As a comparison with hypochondriacs such as Mary Musgrove, Mrs. Bennet, and, yes, Anne de Bourgh (though we have no way of knowing if she was really ill or not), and considering that Persuasion was written as Jane Austen was suffering the first symptoms of her fatal illness, Mrs. Smith is a truly amazing character. That’s it for this week’s Friday Bookblogging, Gentle Readers, and always remember: Books Are Nice!